(AFP OUT) First Lady Melania Trump walks from Marine One upon arrival on the South Lawn of the White House September 10, 2017 in Washington, DC Trump spent the weekend at Camp David, the Presidential retreat in Maryland. Melania Trump styled her casual look with a luxurious cream Hermès Birkin. 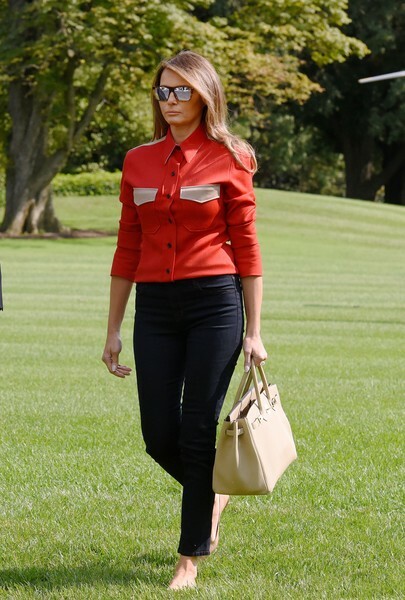 Melania Trump was Western-chic in a red Calvin Klein button-down shirt with contrast pocket flaps as she returned to the White House from Camp David.